Devised as a structure capable of orchestrating unexpected encounters between people, culture and ideas, MPavilion 2017 was designed by Rem Koolhaas and David Gianotten of OMA as a flexible civic space in which fixed and moveable elements combine to create endless possibilities. 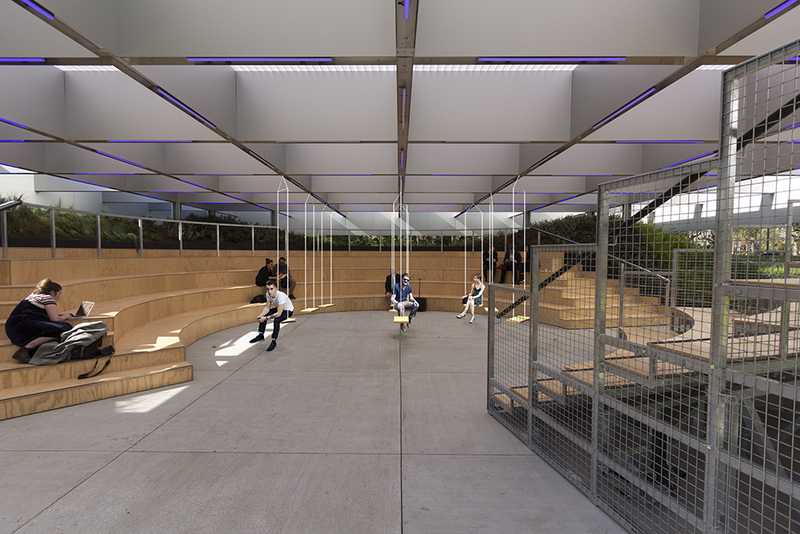 In the spirit of MPavilion 2017, which takes its cues from archetypal amphitheatres as meeting places for debate and entertainment, OMA / Rem Koolhaas and David Gianotten present Swings by OMA, an installation that draws from historical example to both recontextualise and reinvigorate the simple joy of swings. Deriving inspiration from ancient artefact, contemporary mainstays and nostalgic examples from cinema and popular culture, Swings by OMA harnesses movement, irreverence and a sense of play to activate MPavilion 2017 as a locus for multisensorial experiences, where surprising juxtapositions engender potent connections and conversations. Open from Saturday 23 December 2017 until Friday 5 January 2018, Swings by OMA encourages MPavilion visitors to be part of the design in a novel, interactive way, in this fun-for-the-family event perfectly timed for the breezy holiday period. Visit MPavilion anytime during our opening hours to experience the ‘Swings’ by OMA installation in person.